PETALING JAYA, Oct 26 — The issuance of approved permits for the import of plastic waste has ceased effective today, Housing and Local Government Minister Zuraida Kamaruddin said. She also said in a Bernama report that a framework will be drawn up to phase out plastic imports completely in three years in order to boost the domestic plastics industry. “The local plastics industry will turn into a major player and will shed our reliance on imported material,” she said in the report, adding that the move was also aimed at protecting the environment and public health. Earlier, Zuraida had chaired a special committee meeting to address the growing plastic waste problem in the country. Malaysia has become a dumping ground for plastic waste after China banned its import from the beginning of the year. 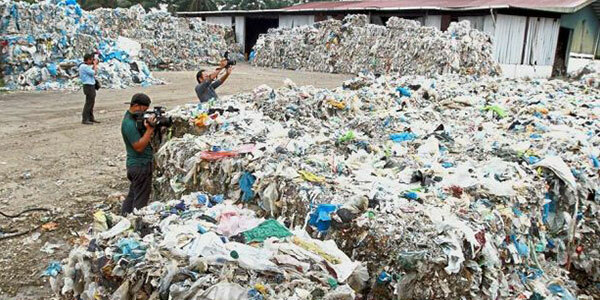 Since then, Malaysia is said to have imported nearly half a million tonnes of plastic waste between January and July. Zuraida also said today that according to Ministry of International Trade and Industry statistics, Malaysia’s plastics industry could generate a revenue of up to RM30 billion a year.